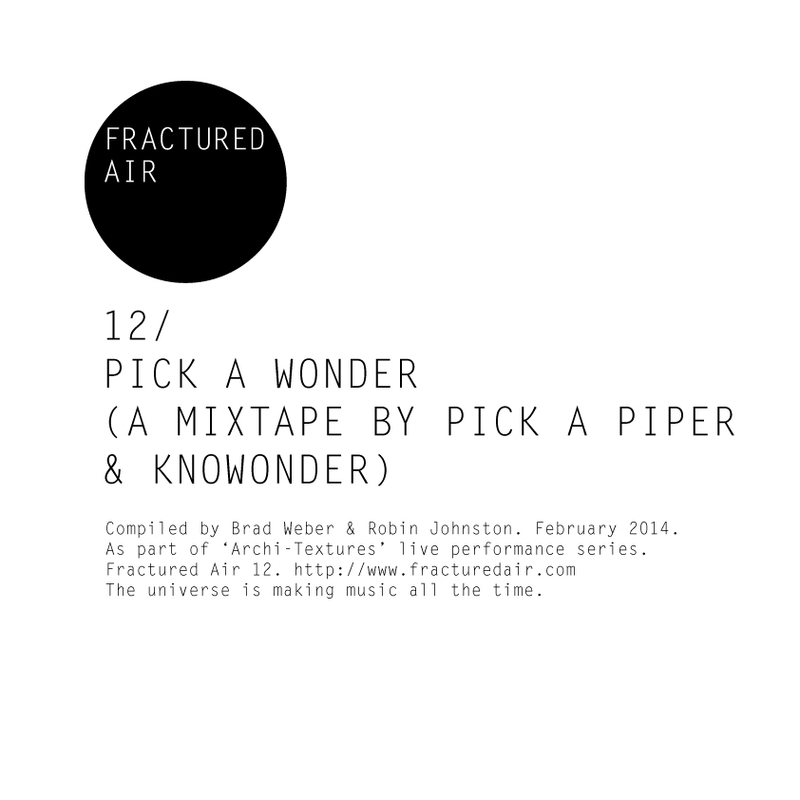 “Pick a Wonder” is a special mix made by Toronto-based Pick A Piper’s Brad Weber with KnoWonder (Robin Johnston) as part of a live performance for the Archi-Textures weekly series. Each week has a different curator (who each put on one show a month for the weekly series). The curator that did our night was ‘Knotibel’ and “Bonding Agents” was the name of his night in January. ‘Pick A Piper’ is available now from Mint Records (North America), AbandonBuilding (USA/Japan) and City Slang (Europe).